Special Containment Procedures: SCP-ES-038 is to be contained in a Standard Secure Humanoid Containment Cell within the "Medium Risk Anomalies" area of Site-34. The containment chamber must be equipped with a capsicum spray dispenser. Staff members are not authorized to interact with SCP-ES-038, and only operatives from the containment department are authorized to execute this task. The use of weapons while communicating with SCP-ES-038 is forbidden. A transaction with SCP-ES-038 is to be made every week to avoid complications with its behavior. SCP-ES-038 has shown to behave aggressively when it is incapable of following its own will. Additionally, SCP-ES-038 may not be misled at the time of the exchange in order to avoid complications. When transported, SCP-ES-038 has to be secured within a Class I Humanoid Restraint Harness, and its briefcase (SCP-ES-038-1) must be confiscated. Any attempt to cooperate with the Foundation proposed by SCP-ES-038 must be supervised by multiple staff members. It is strictly forbidden to accept SCP-ES-038's treats by shaking hands or declaring it verbally without the authorization of three level 4 researchers. Description: SCP-ES-038 is a humanoid entity which measures 1.8 meters high. SCP-ES-038 has a dress typical of corporate environments, using a shirt, black suit, and a tie. The anatomy of SCP-ES-038 is reminiscent of that of a young male human being, approximately 25 years old. However, the head of SCP-ES-038 consists of an eyeball 25 centimeters in diameter, which has the characteristic of being quite tenacious and hard at the time of being damaged. SCP-ES-038 requires oxygen to survive, and the way in which oxygen is inhaled and exhaled is still unknown. SCP-ES-038 is capable of generating sounds through unknown methods and can speak fluently, possessing a serious and pleasant vocal tone to the human ear. SCP-ES-038's vision spans a range of 270° degrees. It also has the ability to see its blind spots (similar to X-rays), as long as there is no solid surface completely covering the way of light. SCP-ES-038's fingers are unusually long with fingers that go up to 14 centimeters. SCP-ES-038 has a high degree of general knowledge, mastering to perfection the Spanish, English, French, Portuguese, Mandarin Chinese, and Russian languages. SCP-ES-038 is also able to solve mathematical problems efficiently and quickly. SCP-ES-038 has a vast repertoire of information in its possession, having classified data from several multinational companies and governments. The main characteristic of SCP-ES-038 lies in its great affinity for commercial exchanges of physical goods. SCP-ES-038 will try to persuade its customer so that the terms are favorable to its interests. However, it refuses to lie when doing so, maintaining a strict code of ethics and morals. When the deal is accepted (usually by shaking hands with the anomaly or declaring acceptance of the deal), the object being offered to SCP-ES-038 will be immediately transported to its briefcase (or SCP-ES-038-1). The ability to relocate objects to SCP-ES-038-1 is not limited solely to commercial exchanges. The content of SCP-ES-038-1 is still undetermined. SCP-ES-038-1 is a case that measures 20 x 40 centimeters, its color is dark brown and it is made of leather of unknown origin. When it is opened, the inside of an ordinary briefcase can be appreciated, however, it is capable of carrying objects much larger than its size would allow. When an object is transferred to SCP-ES-038-1, it emits a blue glow and disintegrates. All objects inside this case appear to have been previously obtained by SCP-ES-038 through exchanges. SCP-ES-038 was discovered by Foundation staff during an investigation at one of SCP-ES-123's locations. The anomaly was inside the building when a D-class staff entered, at that time SCP-ES-038, in a still unknown manner, realized that there were escorts from the foundation outside the construction, SCP-ES-038 went to them unnoticed, and once with them, tried to get [DATA EXPUNGED] in exchange of a level 4 credential card. SCP-ES-038 was relocated to Site-34 facilities with the cover story that agents would accept the deal if it followed them. In the following interview, SCP-ES-038 was asked to explain the reasons for its offer. SCP-ES-038: (Looking at its surrounding) hmm, lovely. Please proceed with your interview, I am a businessman and I have no time to waste here. Dr. Horacio: I'm afraid you'll be disappointed then. SCP-ES-038: Why is that comment? Dr. Horacio: Don't mind that now, let's proceed with the interview. SCP-ES-038: As you wish. Hopefully, it won't take too long and I can continue my exchange. Dr. Horacio: Um, in that regard, how did you get the level 4 security cards? SCP-ES-038: Huh? Oh! The access cards. Well, I got them from an employee of your organization, something ironic, since this organization is known to be quite dishonest with its competitors and partners. Dr. Horacio: Who was the operative who gave it to you? Dr. Horacio: I See… (whispers something to the guard behind him). SCP-ES-038: Is anything wrong, my esteemed? Dr. Horacio: Internal Affairs, let's move on. Dr. Horacio: Right, Why do you want [DATA EXPUNGED], and how do you know the Foundation in the first place? SCP-ES-038: Why do I want [DATA EXPUNGED]? well, that's pretty personal, do you need to know that information to let me proceed with my offer? If so, I am willing to tell you such information, but please be honest. Dr. Horacio: (Thoughtful) Yes…, yes, it is necessary. SCP-ES-038: All right, then… (sigh), I suppose that you already know those who steal knowledge1, if so, you must know that their business is a not very, very… moral so to speak, I don't know if you think the same, anyway, I come from the same market they know. That place, it is…, it is plagued with non-moral behaviors and cruel business, so my mission is to improve the state of the great market through [DATA EXPUNGED], but I promised myself to do it in a fair way, as the good businessman that I am. Dr. Horacio: I see, (turning to the guard/) please contact the director of SCP-ES-123's research, I have to talk to him after this. SCP-ES-038: Well, I've already revealed my reasons. Can I continue with my exchange? Dr. Horacio: You have not answered the second question yet. SCP-ES-038: (Deep Sigh) Okay, this one is easier to answer. Your organization is known in the great market for making this planet a bad place to invest. That's because of its anti-competitive practices and dishonesty. Even I was somewhat discouraged to trade with you, but it is difficult to find information about [DATA EXPUNGED], so I had to take the risk, I hope I won't have any inconvenience with you. SCP-ES-038: I suppose I can now resume my actions, can't I? SCP-ES-038: Did you hear me? Dr. Horacio: I'm afraid we have more conditions for you to continue your business, SCP-ES-038. 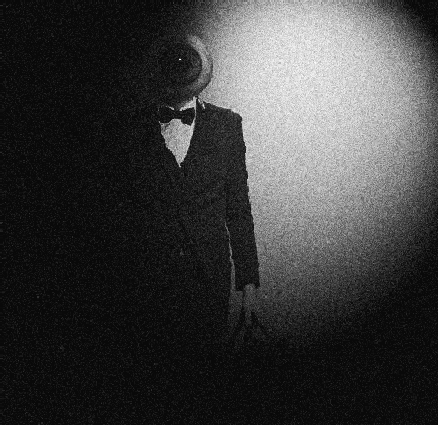 SCP-ES-038: (Angry) You don't plan to… (sigh), it's okay, (whispering) I must calm down, I'm a man… a businessman. Dr. Horacio: (Speaking to the guards) Take it to Sector 17-A, we'll talk more with it. SCP-ES-038 was informed that in order to proceed with its business, it should be kept confined in a cell of the Foundation for 6 months (time that is thought to extend time that is being negotiated with SCP-ES-038), which it accepted. During the following weeks, in order not to exhaust the patience of SCP-ES-038 and to obtain information, experiments were carried out with SCP-ES-038 through multiple exchanges perpetuated by different members of the staff. Results: Test subject entered SCP-ES-038's chamber and offered 8 grams of pure gold, to which SCP-ES-038 responded with disinterest, offering 314 dollars back (which according to it, was "a sale of little value"). D-67893 shook hands with SCP-ES-038 and instantly the 8 grams of Gold were transferred to the briefcase of SCP-ES-038. After that, the anomaly proceeded to give the 314 dollars to the subject (later confiscated). Interventions The subject was carrying a handgun in the back pocket of the pants that were provided by personnel. Results: The subject entered the chamber and presented SCP-ES-038 with his offer, the anomaly showed to be interested in the exchange and offered D-78098 a level 2 security card. Throughout the exchange, SCP-ES-038 was somewhat uneasy as if it knew that the test subject had a weapon in his pocket. D-78098 accepted the deal verbally and the card was granted to him (later confiscated). Exchange A level 5 security card (false), for, a pamphlet with information regarding the location of a Great Green God worship temple. Results: SCP-ES-038 was pleasantly interested in the offer, as it would allow him to "negotiate the terms" with the Foundation's superiors. Dr. Horacio: So, do you have information about the location of a Great Green God worship temple? SCP-ES-038: Why would I lie to you? Indeed, and I have all the rights granted to give them to you. Dr. Horacio: I see… (//Poses his left hand near the back pocket, where his gun is). SCP-ES-038: ( Takes a few steps back). Dr. Horacio: So, resuming our offer, are you interested in the level 5 security card? Dr. Horacio: All right, then I'll take the deal. Dr. Horacio: I would like to know, who gave you the permission to give us such information? SCP-ES-038: The same woman who gave me the security cards in the first place. Dr. Horacio: Interesting… (Removes the handgun from his pocket and holds it behind his back). SCP-ES-038: I didn't think you were a liar. Dr. Horacio: What? What do you mean? SCP-ES-038: Take the gun off your back, I can see it. Dr. Horacio: Wow, how did you- (Interrupted). SCP-ES-038: I tried not to doubt you because I had already noticed a strange figure in your back pocket, yet I was loyal to our exchange and told you nothing about it. And yet, you, this… Withdraw the weapon or I will reconsider the terms of our transaction. (The weapon disappears from the hands of Dr. Horacio. SCP-ES-038 removes the same gun from his briefcase and points it at the researcher). SCP-ES-038: So, (Enraged) What's the deal? Dr. Horacio: (via a radio) Security! Note: SCP-ES-038 apologized after the event and said it was unusual for him, that he was a man of peace. He also asked that please there be no more dishonest behavior. Interventions The exchanged object was outside the chamber. Results: When the exchange took place, SCP-ES-038 saw some drawbacks, as he said he could not transport the object into his briefcase. Note: After talking a little with SCP-ES-038 about this particular experiment, it was concluded that it can only transport things to SCP-ES-038-1 if they are in its range of vision (even if they are not easily visible). Results: SCP-ES-038 stated that it was not interested in exchanges other than physical goods, rejecting the service as a consequence. Note: After this experiment, no more were done for twelve weeks. At the end of the eleventh week, SCP-ES-038 was beginning to lose its patience, walking in circles in its cell and knocking the walls from time to time. Incident 038.1: After eighty-seven days without doing any experiments, SCP-ES-038 positioned himself in the middle of its cell with his hands pointing towards the cell walls. 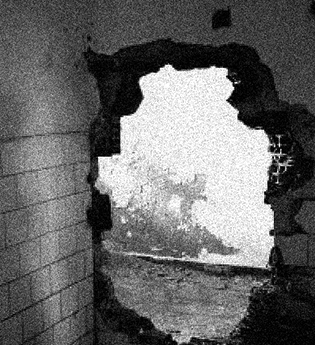 SCP-ES-038 sighed deeply and the walls began to crack, then disappeared and manifested inside SCP-ES-038's briefcase. Toxic gas was released into the cell of SCP-ES-038, which caused it to immediately become unconscious. Note of the Incident: SCP-ES-038 was placed in a humanoid harness as a temporary measure of containment while the walls are being repaired ~ Dr. Charles Haggard. The following test record was made after the repairs to SCP-ES-038's cell. SCP-ES-038: ( Lying on a pillow) Hmm? Dr. Horacio: You look exhausted, don't you? SCP-ES-038: (Sigh) I decided to take this cloister against my will as a temporary sentence, nothing is forever, not even your organization, so I will wait until then. Dr. Horacio: A good way of thinking, but we haven't come for that right now, we have an offer that will interest you. Dr. Horacio: I offer you [ DATA EXPUNGED ] if you accept our conditions. SCP-ES-038: (Shocked) Oh, this is unexpected, what are the conditions for our deal? Dr. Horacio: First, you will have to give me information about this Great Market. Dr. Horacio: And… (Pause), you will have to kill this D-class (// Points the D-class next to him//). SCP-ES-038: (Deep Sigh) You… You don't have a soul, do you? The deal is between the two of us, I refuse to accept this deal if the conditions you have imposed persist. Dr. Horacio: I see… (Aims a handgun at the D-Class on the other side). Dr. Horacio: Oh, and you're not allowed to take my gun away, because in case you do, we have guards ready at your blind spot, ready to shoot you, and if necessary, neutralize you. Dr. Horacio: What are you waiting for? If you don't want to accept, I'm ready to shoot. Dr. Horacio: Are you going to do something? Dr. Horacio: Don't take too long. SCP-ES-038: So, please let's discuss the terms of this deal. Dr. Horacio: (Shocked) Oh, jeez, security! The following record describes an apology delivered by the ethics committee, following a meeting at which, after extensive analysis and debate, it was established that the acts performed in experiment 06# were not of a moral nature. Note: this record occurred shortly after the previously documented experiment. Dr. Horacio: We meet again, how are you? Dr. Horacio: I see…, I have come to present an apology from the ethics committee regarding what happened in the exchange recently. SCP-ES-038: (Silence) an apology? (pauses) is this some sort of joke? Dr. Horacio: Why would it be? SCP-ES-038: You were going to kill a person in an exchange, such behavior tells me nothing good about you. Dr. Horacio: For your information, the weapons were out of ammunition, so we didn't really intend to kill the subjects. Dr. Horacio: Wait a minute, we'll negotiate with you, and we'll drop the behaviors we took. SCP-ES-038: Really? How do you prove it to me? What are you offering me? Dr. Horacio: I, I offer you my apologies, my repentant heart. SCP-ES-038: Hmm… It's all right. Dr. Horacio: Wait, really? Do you accept the repentance of my heart? SCP-ES-038: Sure, give me your hand. Dr. Horacio: (With a dry voice) What… have you… done…? SCP-ES-038: Keep an eye on what you offer, my estimate. Note: SCP-ES-038 has stated that after this event, it has a slightly better opinion of the Foundation, because, in its eyes, it has been "redeemed" after Horacio, representing the ethics committee, gave his heart.